A number of developments that will be completed by the end of 2021 will add more than 230 units for low-income families. 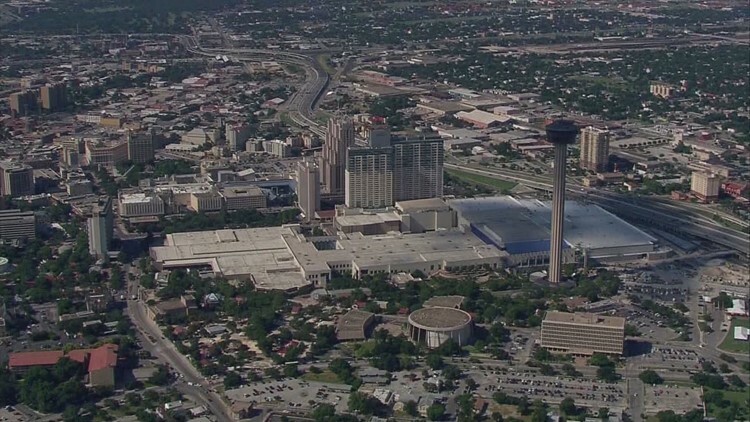 SAN ANTONIO — Four new proposed housing developments in the downtown area will add hundreds of new units, with about half reserved for families making less than the area median income. The city received applications for 515 multifamily rental units and 13 for-sale housing units under the revised Center City Housing Incentive Policy (CCHIP). These developments would be in the downtown area and would be completed in the next three years. 21 will be reserved for households earning less than 80 percent of the Area Median Income (AMI), or $53,440 for a family of four. 213 units will be reserved for families earning less than 60 percent of the AMI, or $40,080 for a family of four. 25 units will be reserved for those earning less than 30 percent of the AMI, or $20,040 for a family of four. Four of the 13 for-sale units will be priced for families making less than 120 percent of the AMI. The are the affordable housing projects proposed under the CCHIP program are listed below. All CCHIP agreements will be made available on a publicly accessible online database by February 2019, the city said. Museum Reach Lofts will add 95 housing units at the corner of W. Jones Avenue and North St. Mary’s Street. A total of 77 units will be reserved for families earning less than 60 percent AMI and 9 units will be set aside for those earning less than 30 percent of the AMI. The remaining 9 units will be available at market rate. The project, which received Housing Tax Credits from the Texas Department of Housing and Community Affairs last year, will begin construction this spring and is expected to be completed by the end of 2020. Cattleman Square Lofts will add 160 units just west of downtown at 811 W. Houston. A total of 136 units will be reserved for families earning less than 60 percent AMI and 16 units will be reserved for families earning less than 30 percent AMI. The developer is seeking Housing Tax Credits and the project is scheduled to be completed by 2021. Augusta Apartments expected to be completed at 819 Augusta by July 2021. The project’s 260 units will include 13 units reserved for households earning less than 80 percent of the AMI. 13 townhouses on Dallas Street across from the Museum Reach Lofts are scheduled for completion later this year will be known as The Villas at Museum Reach. Four of the 13 units will be reserved for families earning below 120 percent of the AMI. The CCHIP provides eligible projects a rebate of City property taxes and waivers of certain City development fees and SAWS water and sewer impact fees. The policy is a tiered incentive system that prioritizes development in the center city, encourages density, and focuses on housing affordability. For more information, visit the city’s website.